Efforts to nurture and grow New Mexico’s biotechnology industry took a significant leap forward in this year’s legislative session with the passage of the Bioscience Development Act. The act will create a public-private Bioscience Authority to spearhead programs, initiatives and incentives to expand New Mexico’s life sciences industry. The 13-member Bioscience Authority will include representatives from the state’s three research universities, plus appointees by the governor and both legislative chambers, according to long time NMBio board member, Dr. Richard S. Larson, Executive Vice Chancellor at the University of New Mexico Health Science Center. Larson led the initiative and many of NMBio’s members wrote letters of support and personally testified on behalf of the bill as it snaked its way through the House and Senate. The legislation will become effective on June 16. Larson said he was especially grateful to Senator George Muñoz (D) and Representative Larry Larrañaga (R) for sponsoring and supporting the bill throughout the legislative session. Once appointed, Authority members will review and recommend steps to encourage more private investment in biotechnology, particularly efforts to pull new innovation out of research universities and labs and into the marketplace. That could include efforts to attract more investment capital for startup businesses, infrastructure development, streamlined permitting, regulatory reforms, tax incentives, workforce development. 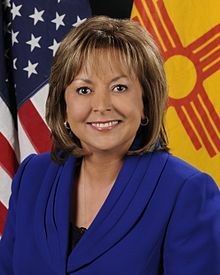 Governor Susana Martinez also signed HB260, a bill approving biosimilars this month. The legislation provides important pathways for patient access to biologic medications, while also creating much needed safety rules that include a mandate that pharmacists must communicate to physicians about a biosimilars substitution within 5 days of its dispensing. Requiring this communication as quickly as possible provides physicians an opportunity to counter and correctly report any adverse effects of these medications. With FDA approval of biosimilars, biological products continue to be of growing importance for patients. NMBio and its member firms joined representatives from a score of pharmaceutical and biotech firms as well as other heath care and pharmaceutical associations supporting the safe introduction of interchangeable biologic drugs into the practice of medicine in New Mexico. Biosimilars are expected to reduce costs to patients by 15 to 20 percent. I’m delighted to report that several of our already distinguished board members are making headlines at the local, state and national levels. 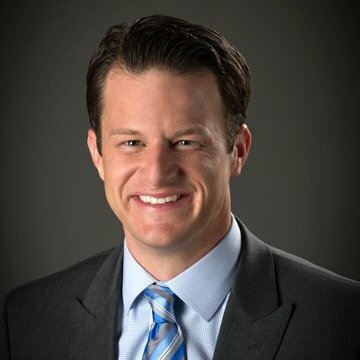 From a list of 350 nominees, Albuquerque Business First selected Rick VanNess, for its 40 Under Forty award. The business publication honors the state’s top young professionals each year. In addition to being NMBio’s Vice President and Chair of the Program Committee, Rick serves as Director of Project Management for TriCore Reference Labs. 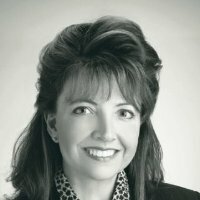 Janeen Vilven-Doggett Ph.D., J.D., was named New Mexico’s Best Attorney in Biotechnology Law. Janeen has been featured in Best Lawyers in America every year beginning in 2010. 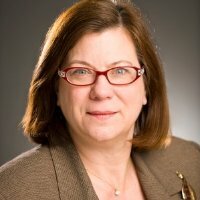 Janeen is a Registered Patent Attorney, shareholder and partner with Peacock Myers, P.C., practicing in the area of intellectual property, including U.S. and international patent protection of biotechnology, chemical, biomedical, nanotechnology and optics inventions. Janeen’s research experience crosses several disciplines such as biochemistry, molecular biophysics, protein chemistry, nanotechnology and optics. Her research has appeared in science journals including: Journal of Signal Transduction and Receptor Research, Nature, Biochemistry and Biophysical Journal. In addition to being the Secretary of the Board of Directors for NMBio, Janeen serves on the Board of Directors for A Child’s Garden, High Desert Discovery District, and the Anderson School of Management Foundation Board. The U.S. Economic Development Administration (EDA) honored Marie Longserre, President and CEO of the Santa Fe Business Incubator, for her exceptional leadership and SFBI’s many accomplishments since its founding 20 years ago. In the summer of 2011, EDA invested $1.25 million in SFBI to build a new wet lab and make infrastructure improvements to the facility and to continue its support of new bio-science and tech companies in the area. In addition to increasing space for the incubator’s wet-lab, manufacturing bays and developing its IT infrastructure, the funding helped give the region’s innovation and commercialization efforts a significant boost. The Santa Fe Business Incubator has had great success in establishing several bioscience startup companies thanks to the continuing support of the EDA, according to Marie. To date, the SFBI has helped to launch over 150 startup companies that have created over 1,000 direct jobs. Speaking of board members, we recently elected three new board members and selected Elizabeth Kuuttila, CEO and Chief Economic Development Officer, STC-UNM, to serve as our Chair for 2017. 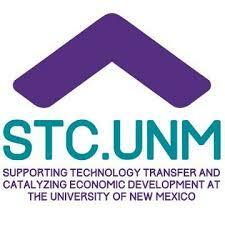 Elected to two year terms on the board were Darlene Harbour, President, Lovelace Scientific Resources; Thomas Kieft, Chair, Interdisciplinary Doctoral Program in Biotechnology, New Mexico Tech; and Estella Hernandez, Managing Director, Arrowhead Innovation Fund GP, Inc. The board’s executive committee, which includes Michael Vickers in addition to Rick, Lisa and Janeen, will recommend expanding our board from the current 16 members to 20 at the association’s next board meeting. Future additions to the board will come from the business and venture capital communities in addition to the science sector. NM’s bioscience sector now accounts for seven percent of the state’s private sector jobs. That percentage is expected to climb in the coming years with the state’s major research university and the state’s federal labs devoting more talent and pumping more financial resources into the sector. The savings over the former FedEx program are substantial. I encourage you to go ahead and enroll your firm in the program to begin receiving the discounts. Once you click on the link, you’ll see an option to either create a new UPS account under the program or update your existing UPS account. Please keep UPS and our other service providers such as VWR, Illumina, Office Depot and Airgas top of mind. Your patronage will provide you with substantial savings and, at the same time, provide the association with a small, but important source of revenue. As we add members, this source of funds will compound and allow us to better serve your needs.